The Omni-channel revolution is compelling retailers to reinvent their stores, in turn opening up a new battlefront among solution providers over whose software will be running these newer store operations (such as in-store fulfillment). This battle was on full display at NRF this year. As laid out in Stores' Identity Crisis: The Reimagining of Physical Stores, the relentless rise of online sales and the pressure it places on bricks and mortar stores has forced retailers to reconsider the role of their physical stores and reimagine the physical stores’ model. They are being forced to innovate for survival in the store experience, providing superior associate expertise and service, efficient in-store fulfillment, and store intelligence. This transformation is creating new types of store operational systems, opening the door to solution providers that previouslyhad no presence in the store; such as WMS vendors who are stepping in to provide fulfillment solutions and expanding from there to clienteling, POS, and task integration. These dynamics were evident at NRF’s Annual Convention & EXPO this year. Order fulfillment has emerged as a critical and disruptive1 new function within stores. In large part, fulfilling online orders using inventory from the stores has been part of bricks and mortar retailers’ response to compete with Amazon. By treating their stores as ‘mini-warehouses,’ they aim to maximize the amount of inventory available and timeliness of fulfilling orders. Warehouse management system (WMS) solution vendors have seen this as an opportunity for new business. However, stores are not a warehouses. There are many key differences that need to be taken into account, such as the higher level of interruptions in a store compared to a warehouse; the limits of space; stores are optimized for the shopper’s experience rather than for putaway and picking as a warehouse is, and so forth. Therefore, WMS vendors are not simply porting their software from warehouse to store, but doing ‘from-the-ground-up’ rewrites, while still leveraging existing IP and knowledge when appropriate. Another piece of the omni-channel fulfillment puzzle is distributed order management (DOM), which makes decisions on the best place to fulfill online or call center orders from—that is, which DC or warehouse to fulfill from or alternatively whether to ask the supplier to drop ship the order. DOM systems allow users to set weightings and priorities for various goals (profitability, customer satisfaction, utilization, lifetime customer value, etc. ), and then the system picks the optimal fulfillment location, taking into account the constraints (required deliver-by date, availability of inventory, transport, and labor in various locations) and costs (transport, labor, impact on future markdowns, etc.). Most of the major store fulfillment solution providers have a DOM solution, either their own or via partnerships. 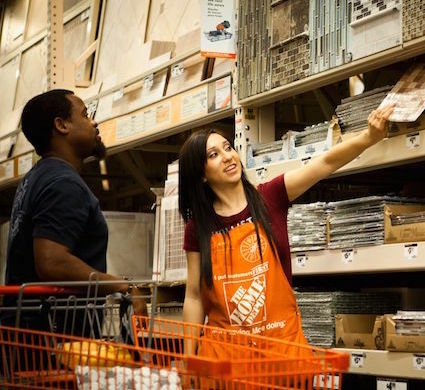 The store associate’s job has always been interleaved and multi-tasked—switching back and forth between restocking inventory, manning the register, helping and interacting with customers, doing inventory cycle-counting, receiving and putting away shipments from the DC, and so forth. Omni-channel and fulfill from store has added layers of complexity and tasks that weren’t there before, such as picking, packing and shipping, the need to know all about a customer’s current and past online orders, validating and matching competitor’s online prices,2 checking network-wide inventory to see if an out-of-stock item that’s not in the store might be fulfilled from elsewhere, and so forth. As a result, the prioritization and optimization of store associates’ tasks, and the ability for them to smoothly transition from one task to another (and potentially back again) has become a key requirement for task management systems. With all of these changes as backdrop, and with new entrants such as WMS players entering the fray, there is a heated battle shaping up for the next generation of store operational systems. At NRF, I saw many different solution vendors in the thick of this battle right now. Here we are highlighting three of them: JDA, Manhattan, and Symphony GOLD. Dynamic Merchandising—To dynamically optimize decisions on shelf stocking, to reduce out-of-stocks and maximize sales. This will be the first module out of the gate, piloting in Q1 this year and to be released mid-year. The solution will work with or without RFID; if the retailer has tagged their merchandise with RFID, then they will be able to use that to do more real-time optimization. Store Inbound Processing—To optimize receiving, and decisions on what to put away first through an understanding of shelf gaps and forecasted demand. Store fulfillment—To optimize pick, pack, ship as well as pick and hold (for BOPIS5/Click and Collect orders). Task communications—To optimize the sequence and interleaving of tasks, such as reset and replenishment tasks, ensuring higher priority tasks are done on time, and providing efficient sequencing of all tasks. JDA is leveraging partnerships for several pieces of the in-store solutions puzzle. For example, they are integrating with Intel’s Responsive Retail Platform, which provides a single integration point for IoT technology, such as video, traffic counters and RFID sensors, including Intel’s own Responsive Retail Sensor, which is an overhead RFID reader that can provide approximate location of the items it ‘sees.’ JDA’s dynamic merchandising software will be able to use that data to provide near-real-time inventory visibility, such as to trigger an alert to the store associate to restock the shelves. The store optimizer can interleave and adjust scheduling of those tasks as new information comes in, optimizing the store associates’ tasks on a continual basis. The optimizer can be precisely prescriptive, if desired, for example directing the associate to restock based on priorities like seasonal demand or higher margin items first, and so forth. JDA is also integrating with Cognizant’s RetailMate, which can take data feeds from Intel’s Responsive Retail Platform, as well as other sources (Bluetooth beacons, cameras, sensors, associates’ handheld devices and/or wearable communicators, such as Theatro, etc. ), combined with task information, and POS data. Using that combined data, Cognizant can provide visualizations of the store, where all the associates are and where they are headed, while Theatro can advise when associates are engaging with the customer. Armed with this information, JDA’s Store Optimizer can then pause the task assigned to that associate (who is helping a customer), do a re-optimization, and potentially reassign the task to a different associate. For DOM (distributed order management), JDA is partnering with IBM. One the earliest distributed order management systems was from Yantra, who was acquired in 2004 by Sterling Commerce, who was in turn acquired by IBM in 2010. So, this is very mature technology that JDA uses to determine where to fulfill orders from. It provides a single view of demand across channels, rules-based order promising, and coordination and integration of fulfillment execution across channels. Manhattan is most well known as the world’s largest WMS vendor, but they also have a broad and deep supply chain suite (both planning and execution), and have developed in-store capabilities (as part of their broader omni-channel suite). In contrast to JDA, Manhattan has, over the past several years, developed their own DOM in-house, as well as their own store operations, and fulfillment capabilities. They initially focused on pick, pack, ship, but have continually expanded their in-store footprint to other areas, such as clienteling and POS. 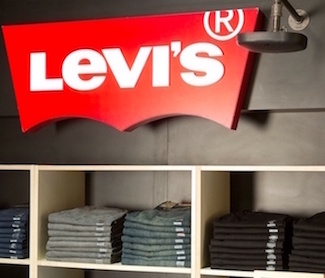 They told me their store fulfillment and clienteling solution has been gaining good traction and they are seeing a strong desire among retailers to consolidate devices and interfaces for their associates and store managers. Manhattan’s DOM is mature, with new advancements, such as ‘Available-to-Commerce,’ that allows retailers to match the customer's view of available inventory to the ideal units of inventory across the network in real time. This complements their fulfillment optimization strategies to help retailers deliver commerce profitably. It can optimize which location to fulfill each order from in order to maximum profit and other goals, taking into account various constraints, and leveraging different fulfillment options and capabilities; such as merge-in-transit fulfillment and supplier drop ship. Their DOM, leveraged alongside Demand Forecasting and Replenishment, can also be used to optimize store replenishment. Symphony Retail Solutions, the combination of Symphony GOLD and Symphony EYC, focuses exclusively on retail (unlike JDA and Manhattan, who are strong in retail, but also serve many other industries as well). Symphony GOLD provides a broad suite comprised of Customer Engagement (marketing and loyalty campaign management, shopper analytics), Merchandising and Category Management (merchandising, assortment, space/category, and price optimization), Supply Chain (retail data management, vendor, inventory, order management/DOM, forecasting, replenishment and allocation), and Retail Operations (Store Ops, Mobility, Central Kitchen & WMS). Their sister firm, Symphony EYC, provides solutions in Retail Planning, Shopper Insights, Loyalty, and Vendor Collaboration. At NRF this year, Symphony GOLD showed me one of their specialty capabilities, Synchronized Kitchen Production, part of their Fresh Item Management capabilities and Central Kitchen offering for optimizing the preparation of fresh foods. Excellence and speed in fresh food preparation has become a critical capability not just for restaurants, but also for grocery and convenience stores and increasingly other format stores wishing to attract shoppers with in-store dining and/or prepared take-out food. 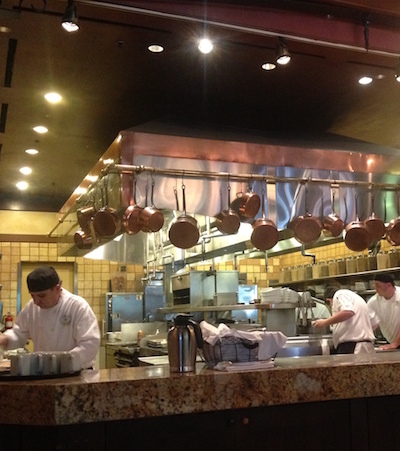 The Synchronized Kitchen Production solution was co-developed with Disney, who uses the entire GOLD supply chain suite in all their restaurants. Kitchen Production incorporates Symphony GOLD Demand forecasts as well as other factors such as on-hand inventory, spoilage, external events, and so forth. Besides forecasting the top-level quantities at the menu level, it can drill down into the BOM (bill of materials) and incorporate sequencing from the recipe/preparation steps, to forecast replenishment of each of the ingredients independently. It can be used for both batch recipes and individual order forecasting. It includes simulation and what-if analysis, letting the user explore different scenarios. It also understands production sequence, so for example if you are out of icing for cakes, but some icing is scheduled to arrive later in the day, you can still proceed with the baking, knowing that key ingredient (icing) will arrive by the time it is needed. Symphony has added a number of capabilities to their optimized store fulfillment, such as full truck load replenishment, a new ‘zero training’ UI, task management, and flexible configuration. On the back end, their single data model allows vendors to log in and introduce new items into the system directly (after review and approval by the retailer of course), including data such as nutritional or safety data—retailers specify which data is required. Vendors can key in the data or upload spreadsheets. The portal helps normalize and make the product data from vendors more complete. The vendor’s product data can also be pulled in from GDSN data pools. These tools let retailers define and manage the whole approval workflow for product and pricing data through various departments. More to Come on NRF 2017 . . . 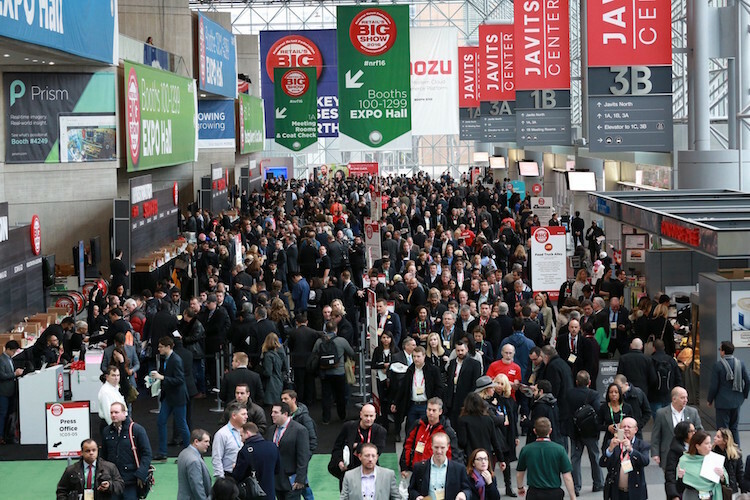 Here we have just scratched the surface of things we learned at the latest NRF Big Show (which, by the way, was bigger than ever, more than 35,000 attendees). Above, we focused on the in-store capabilities of three solution providers; however, all three have broader suites across the supply chain. In addition, there are many other solution providers that have a presence in the store. We plan to cover other exciting new developments from NRF in one or two articles within the next couple of weeks. Stay tuned . . .